A sandbox RPG set in a fantasy world. In Outward the player can join one of four factions that compete with each other. 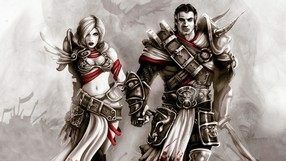 Each faction offers a unique storyline and unique character development paths. The realm the player is exploring is a dynamical place with changing weather conditions, seasons and NPCs that have their own things to take care of. Due to the autosave system, each decision and failure is final and cannot be changed. After being defeated, the protagonist wakes up with no equipment or in slavery. The developers intended to simulate the whole career of an adventurer – from humble beginnings to retirement. An experienced, retired warrior can provide his successor with some of his equipment and teach him skills, so that he can continue the journey. The title also features an arcade combat system, survival features and a crafting system. 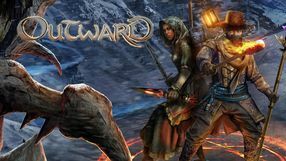 Outward offers a cooperation mode that enables the players to play locally or through the internet. The eleventh part of the best-selling series of brutal fighting games. 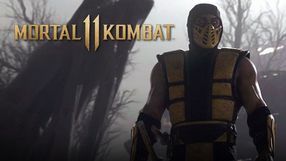 Mortal Kombat 11 uses a new graphic engine; in addition, the NetherRealm Studios team gives us new warriors, as well as a wide range of possibilities to modify each of them. Another part of the popular series of football simulators, in which we direct licensed and realistic teams and players from all over the world. 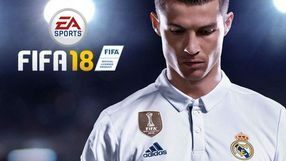 FIFA 19 was created, like all previous parts, by EA Sports studio. A game that combines shooter and hack and slash mechanics. It was created by One More Level - a Polish developer popular for Warlocks vs Shadows. The protagonist is called Zoran and he is a veteran of the Balkan Wars, who escapes from war atrocities to New York. To serve his penance, he becomes a local priest. Unfortunately, once it turns out that ruthless mobsters have become a threat to the people he serves, Zoran decides to bring justice the hard way. The action is viewed from above and the game is very dynamic. Also, it does not tolerate the player's mistakes - one hit kills the protagonist. Consequently, the player has to plan before they act; using the protagonist's special ability (the so-called Divine Focus) is also crucial for success. This ability makes the time pass only when the protagonist is in motion. Once depleted, it can be recharged by killing enemies. Sword and pistol are the protagonist's basic weapons, but more of them are waiting for the player to discover. Apart from the single-player story campaign, the game offers separate levels for the co-op mode. 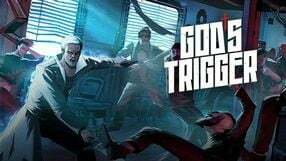 Among other top-down view games, God's Trigger stands out with its three-dimensional, cel-shaded graphics. A card logic game set in the fantasy universe of Azeroth, known from the Warcraft franchise. The game was developed by Blizzard Entertainment company, who mention the cult card game Magic: The Gathering as one of their major inspirations. Hearthstone: Heroes of Warcraft lets you pick one of the nine available character classes and build you own deck of cards, which you can use in battles against the AI (tutorials) or living opponents (duels, tournaments). Gameplay mechanics are based on a set of easy to learn rules. Victory is rewarded with new cards. 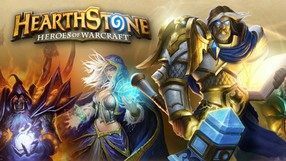 The game is based on free-to-play model with optional microtransactions, which means that although you can play Hearthstone: Heroes of Warcraft for free, some elements require payment. The fourth installment in the series of logic platform games, created by the team at Frozenbyte. As in the previous editions of the cycle, we play as three heroes connected by the eponymous artifact. 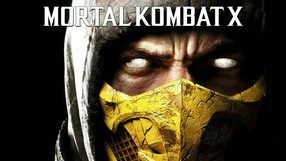 A sequel to the 2011 game created by NetherRealm, which restored the leading position in gaming to Mortal Kombat, a long-standing, cult fighting game franchise launched in 1993 by the Midway / Acclaim duet. Once again, we get a wide array of playable fighters – both known from the previous games in the series, as well as brand new ones. Moreover, each one comes in several varieties, differing in tactics and combat style. Duels are fought on 2.5D arenas filled with interactive elements that you can use in combat. There is of course no shortage of spectacular finishers, so-called fatalities. The game’s core features an expansive story mode set 25 years after the events presented in the previous game. The authors implemented numerous both local and online multiplayer modes, enabling the players to compete with one another in a global struggle for primacy. An action-adventure game featuring the superheroes from Marvel comic books. The title was created by Traveller’s Tales Studio, experts at LEGO video games (e.g. LEGO The Lord of the Rings, LEGO Pirates of the Caribbean, LEGO Harry Potter). Players can become Spider-Man, Iron Man, Hulk, Thor, Captain America, and other superheroes, who are asked by Nick Fury from the S.H.I.E.L.D. organization to save the world from villains and other dangers. The developers stayed true to the well-proven gameplay mechanics that combines elements of action, brawler, and adventure game. As always, the game is filled with unlockable extras, and features a cooperation mode in split screen. 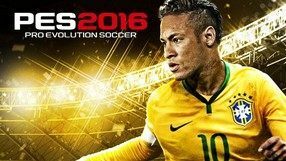 The game is another installment in the FIFA series. Electronic Arts introduced a lot of important changes in this follow-up, which will probably constitute a real treat for all the fans of virtual soccer. What is especially noticeable, is the introduction of the Real Players Motion technology that governs the appearances, animations and behavior of the in-game footballers. Although this technology encompasses mainly top players, the less-known footballers also behave in a more realistic manner, as the new system takes different factors into account, such as a footballer's height. The game brings a continuation to a story campaign from FIFA 17, embodied here by The Journey: Hunter Returns. FIFA 18 also brings a remodeled system of transfers in the career. The player is now capable of negotiating with clubs and particular footballers on their own. The FIFA Ultimate Team mode brings the Icon cards, representing legendary footballers. All of this is complemented by the use of the Frostbite engine, which mainly powers the cut-scenes displayed both in The Journey mode and the regular career component. The seventh installment of one of the most popular turn-based fantasy strategy series dating back to 1995. 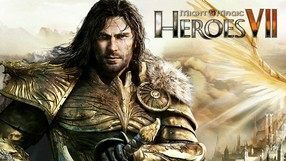 It was created by the German studio Limbic Entertainment, whose portfolio includes the previous installment in the Heroes of Might & Magic series and Might & Magic X: Legacy. The story takes us to an empire torn by a civil war, in which young Prince Ivan created the Shadow Council composed of representatives from six different factions. The mechanics of the game are reminiscent of the earliest installments of the series and use a variety of solutions which were not implemented in the sixth part. The previously simplified economic model was improved, and the town screen was restored, together with all the characteristic features of individual factions. 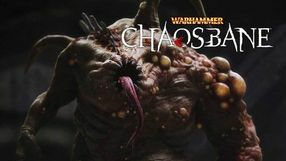 The maps are much larger and put greater emphasis on exploration; furthermore, the typical turn-based combat system has been slightly modified. During the battle we can use numerous machines and support units, including catapults, ballistas, and medical tents, and the battle arenas are filled with a larger number of various objects and obstacles. 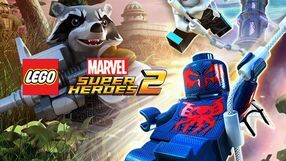 LEGO Marvel Super Heroes 2 is a sequel to the 2013 platform/action game LEGO Marvel Super Heroes developed by Traveller's Tales. This time we will have to face Kang the Conqueror who travels in time and causes turmoil in various eras across the history. Once again we will be able to play as several dozen Marvel characters, including Thor, Hulk, Doctor Strange, Spider-Man, and Guardians of the Galaxy. Gameplay focuses on exploration (we will visit Wild West, ancient Egypt, 2099 New York, and other times and places as we play), combat, and solving simple puzzles and riddles. The game offers a single player campaign and a multiplayer mode (co-op and PvP arena battles) for up to four players. 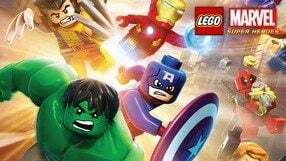 Another installment in a bestselling action-adventure game series based on the license of the LEGO bricks. This title is a result of cooperation between the developers from Traveller’s Tales and the Marvel company. Once again, players visit the amazing world of comic superheroes. The story is based on the Avengers film (2012) and its sequel Avengers: Age of Ultron (2015). Therefore, you can play as one of the numerous Marvel characters known from both the graphic novels and films, including Iron Man, Captain America, Hulk, Black Widow, Thor, Loki, and Hawkeye. 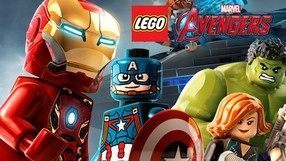 In terms of gameplay, Lego Marvel’s Avengers is not much different from other games in the series, such as LEGO Marvel Super Heroes. Gameplay is presented in third-person perspective and it boils down to exploration, solving puzzles, gathering collectibles, and fighting with opponents. A licensed LEGO action-adventure game, set in the fantasy universe of Harry Potter, created by the British writer J. K. Rowling. The story was based on the first four Harry Potter books and their movie adaptations by Warner Bros. During the gameplay, you witness the adventures of Harry and other characters, explore Hogwarts School of Witchcraft and Wizardry and fight many enemies, including the main antagonist of the cycle, the evil Lord Voldemort. Mechanics-wise, LEGO Harry Potter: Years 1-4 combines the features of the earlier productions by Traveller's Tales, including the distinct sense of humor, with more serious elements of Harry Potter productions by e.g. EA. The game is set in a partially open world and features many varied activities, such as magic lessons, potion making or flying a broomstick. 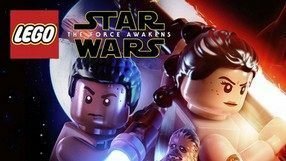 Another entry in the bestselling adventure game series, combining popular LEGO franchise with the classic universe of Star Wars. Its plot is largely based on the seventh part of the galactic saga, Star Wars: The Force Awakens, and tells the story of completely new characters, though some familiar and iconic faces from previous movies appear in the background. There are also many exclusive plotlines that fill in the story gaps between Return of the Jedi and the latest movie in the series. The game mechanics remained mostly the same and the gameplay comes down to exploring, fighting enemies, and solving many logical puzzles, most of which require a creative use of the famous bricks. Nonetheless, some new features have been added, like allowing a multiply uses of single brick for different purposes and eye-catching blaster duels, during which we can make use of cover. A TPP action game, another entry in the popular horror game series. Resident Evil 5 takes place 10 years after the destruction of Racoon City. 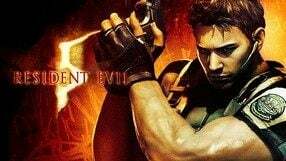 Main hero – Chris Redfield – travels to Africa to investigate origins of the mysterious T Virus that changes humans into zombies. Gameplay combines dynamic shooting sequences with gory horror, as the player has to deal with hordes of enemies using various weapons: from pistols, shotguns and machine rifles, to knives and grenades. Resident Evil 5 offers several modes, including multiplayer cooperation for two players. The seventh major installment in one of the most famous fighting game series developed by Bandai Namco Entertainment, which originally launched back in 1994 on the first PlayStation. The debut of the franchise on the eight generation consoles brings back all the key elements of the previous installments, i.e. dynamic duels on 3D arenas featuring interactive objects. The story revolves around the King of Iron Fist tournament, organized by a powerful corporation. The new game also presents a cast of well-known characters with their unique special attacks. Additionally, there's no shortage of playable characters, who appear in the series for the first time. 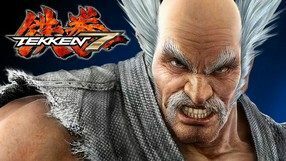 In contrast with the previous games, powered by a proprietary game engine, Tekken 7 is based on Unreal Engine 4, offering high-quality graphics even on less powerful platforms. A brutal fighting game and a reboot of the Mortal Kombat video game series - one of the most popular fighting-oriented franchises, launched back in 1992. The game was created by NetherRealm and the works were supervised by Ed Boon - the father of the series. 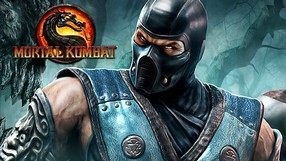 This new installment is based on the best mechanics of its predecessors, both improving and modernizing the classic Mortal Kombat experience. Thus brutal fighting is the core of the game - fights are filled with spectacular special attacks and creative ways of finishing off the enemy. The players received a massive number of both well-known and completely new fighters. The new X-Ray system was introduced as well, allowing the player to launch special attack sequences. New game modes were also added, including challenges, Story Mode and Tag Team, which allows two teams of two players to fight against each other. Combining classic elements with the new can be also observed in the visuals that combine 2D and 3D elements. An action-adventure game developed by Hazelight in collaboration with Electronic Arts, and designed with co-op gameplay for two people in mind. 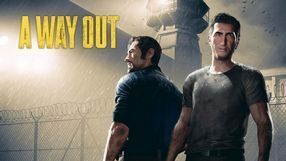 The main protagonists in A Way Out are two convicts: Vincent and Leo. Together they are devising a way to escape from prison and then build their lives anew outside its walls. When it comes to mechanics A Way Out offers quite a variety in gameplay. Over the course of the story campaign the players will take part in fist fights, shootouts, car pursuits, stealth sequences and so on. Other noteworthy features are the advanced AI, and freedom when it comes to tackling in-game challenges. As befits a co-op game, the key to success lies in skillful cooperation between the two heroes. Just for that, A Way Out offers both a local split screen mode and online play. As for technical aspects, the game uses the advanced Unreal Engine 4 technology for generating graphics. 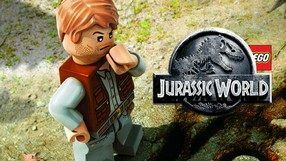 Another reincarnation of the highly popular action-adventure game franchise originated in mid-90’s, sporting a license on the world’s most famous brand of toy bricks. This production by Traveller’s Tales Studios was created for the premiere of the film Jurassic World, however, the game’s story spans across the whole bestselling Jurassic Park trilogy. The game is set on Isla Nublar, an island known from the movie, which is actually a one of a kind amusement park with prehistoric reptiles brought back to life through cloning processes. As a result of a chain of experiments, a new dinosaur species was created by scientist, which is a combination of a Tyrannosaurus and a Velociraptor. Unfortunately, the beast escapes, becoming a direct threat to all visitors. When it comes to gameplay mechanics, the game employs the traditional solutions used in the series, with action-adventure elements and a gallery of characters known from the original movie. LEGO Harry Potter: Years 5-7 is the sequel to a 2010 release, an action adventure game by Traveller's Tales, combining the world of LEGO with the universe from the popular series of books and their movie adaptation. 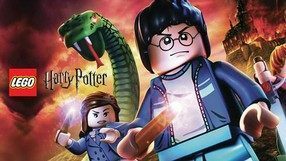 The plot of LEGO Harry Potter: Years 5-7 is based on the last three books in the series, and the story is focused on Harry's fight against the powerful Lord Voldemort, who, after gathering more followers, becomes a real thread to the whole world of magic. During the game, the players can control various characters known from the universe created by J.K. Rowling, and visit a number of equally well-known locations, which at the same time feel completely new, since they are built out of LEGO blocks. The game is filled with adventure and arcade elements, but it also has its share of logic puzzles. Compared to the prequel, this game presents a gloomier and more serious world. Another installment in one of the longest-standing and most popular soccer game series, whose consecutive iterations have been appearing since 1996, consequently developed by the Japanese company Konami. The 2016 edition, coinciding with the 20th anniversary of the franchise, offers lots of innovations in addition to the usual wide array of options and play modes. First of all, opponents’ artificial intelligence in 1 on 1 duels, as well as its in-air play was improved, and new algorithms for goalkeepers were added. When it comes to the technical aspects, the game features significantly improved graphics, and, for the first time in the history of the series, dynamically changing weather. The in-game players received many new animations (including celebrations), and the ball physics and the collision system were enhanced. During the matches, you can listen to a duet of new commentators: Peter Drury and Marco Hagemann. 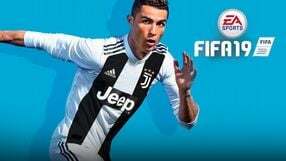 For the first time in the series, the game features also European league cups, including Champions League, European League, and European Super Cup. An action game with elements of 3D platformer, based on a popular franchise of toy bricks. This game was developed by Traveller’s Tales, known for such titles as LEGO Marvel Super Heroes and LEGO The Lord of the Rings. 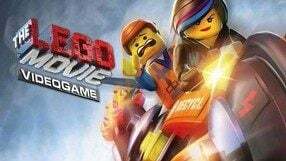 The plot in The LEGO Movie Videogame is based on the corresponding movie. The main protagonist, named Emmet, is an ordinary young man, who gets mistaken for a superhero. Together with his friends Emmet has to challenge the cruel Lord Business. Gameplay mechanics are based on solutions that worked well in Traveller’s Tales’ previous games. One innovation in this game is the world design – environments are now entirely built of bricks, which lets you rebuild them freely. As it is always the case with LEGO games, apart from single player experience The LEGO Movie Videogame offers cooperative gameplay for two players. An action game, featuring elements of a 3D platformer, based on J.R.R. Tolkien’s novels and the movie trilogy by Peter Jackson. 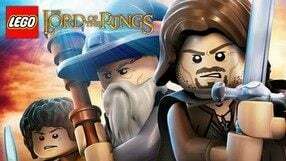 LEGO The Lord of the Rings is another "blocky" production from Traveller’s Tale studio. It lets us take the role of a chosen member of the Fellowship of the Ring and set out on a dangerous journey to stop Sauron and his minions. The campaign consists of a series of stages inspired by the most memorable scenes from the movies. The gameplay mixes elements of action, arcade, and logical puzzle games. Similar to previous LEGO-licensed productions from Traveller’s Tale, LEGO The Lord of the Rings offers a two-player cooperation in addition to single player. The third installment in the video game series designed for MMA fans. 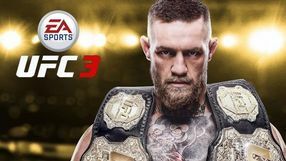 EA Sports UFC 3 allows the players to assume the roles of the greatest Ultimate Fighting Championship (UFC) stars.